The Uniform Monday Holiday Act in 1971 declares that Washington’s Birthday falls on the third Monday in February in the United States. It is, of course, named for George Washington, the first president of the United States. The holiday originally started as a day to celebrate the birthday of George Washington whose birthday is February 22. As part of the Uniform Monday Holiday Act in 1971, the holiday was moved to the third Monday in February. Presidents’ Day is now thought of as a holiday saluting all Presidents, not just George Washington. Public Law 90-363 designated the third Monday in February as Washington’s Birthday. Many states choose to call this day Presidents’ Day instead of Washington’s Birthday. Some states also celebrate Abraham Lincoln’s birthday as well. Other Presidents born in February include William Henry Harrison and Ronald Reagan. 1. Washington’s birthday was how the holiday began, following his death in 1799, and was celebrated each year on February 22. It was then celebrated widely in 1832 on the centennial of his birth and in 1848 when construction first started on the Washington Monument. Other presidents with birthdays in February include Abraham Lincoln on February 12. The holiday became recognized as a day to honor multiple past presidents. Alabama celebrates Washington’s birthday and Thomas Jefferson’s birthday on Presidents’ Day, even though Jefferson was born in April. 3. It was almost changed back to individual birthdays in the 2000s. Because the origins of Presidents’ Day started to become lost, honored more presidents than just Washington, disregarded Lincoln, and morphed into a commercialized cluster of chaos, an attempt to restore Washington’s and Lincoln’s individual birthdays as holidays was made in the 2000s. It failed. However, the federal government still recognizes Presidents’ Day as a celebration of Washington and is listed as such on official calendars. 4. Even though it is a federal holiday, each state is free to call it what they choose and how to celebrate. 5. Brooklyn Law School is closed on Presidents’ Day. The Library is open from 9am to 10pm. 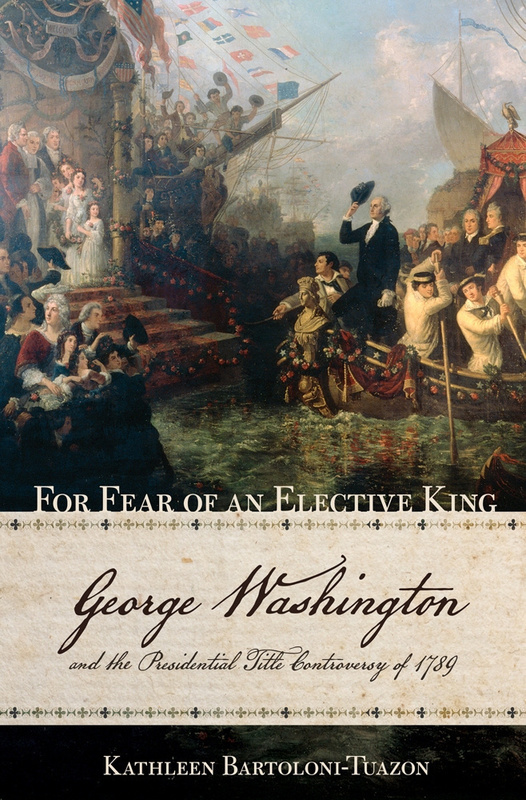 See the library e-book For Fear of an Elective King: George Washington and the Presidential Title Controversy of 1789 by Kathleen Bartoloni-Tuazon where the author argues that the resolution of the controversy in favor of the modest title of “President” established the importance of recognition of the people’s views by the president and led to leadership that demonstrated the presidency’s power by not flaunting it. Written by: Harold O'Grady on February 16, 2018.on February 17, 2018. This entry was posted in Book Review, Brooklyn Law School, E-Resource, Library Hours on February 16, 2018 by Harold O'Grady.